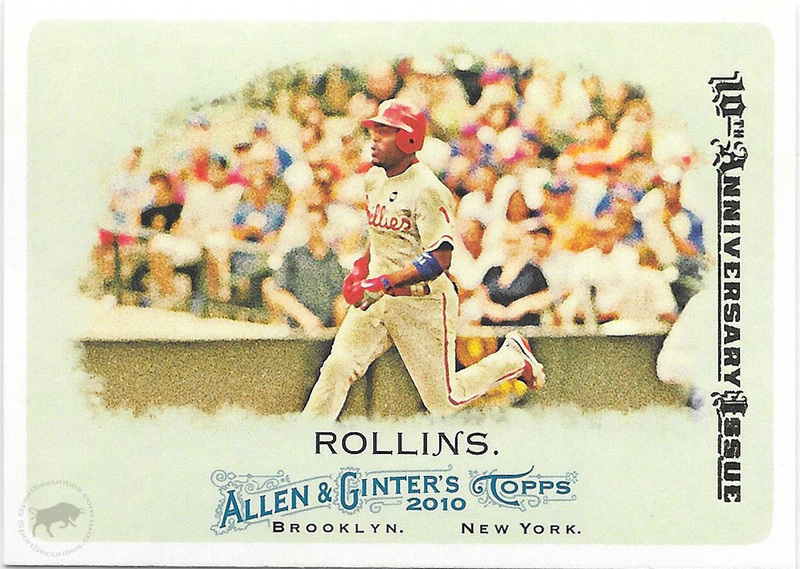 The situation didn’t improve when I started reminiscing on all of the 2015 Allen & Ginter buyback cards. This furthered my idea that the buybacks are just a way to clear out old stock. So, in an attempt to put some truth into my conspiracy, I started doing some research, and here are my findings. My first step was to define what a buyback card is. After consulting with other collectors, I arrived at this definition: Buybacks are previously released cards that, in theory, have previously entered the collecting market and have been “bought back” by the manufacturer for reinsertion into retail or hobby packs. In some cases, the buyback card is altered in some way to identify it from the original set. This is usually done by either a foil stamp, a serial number, an autograph, or a certificate of authenticity. 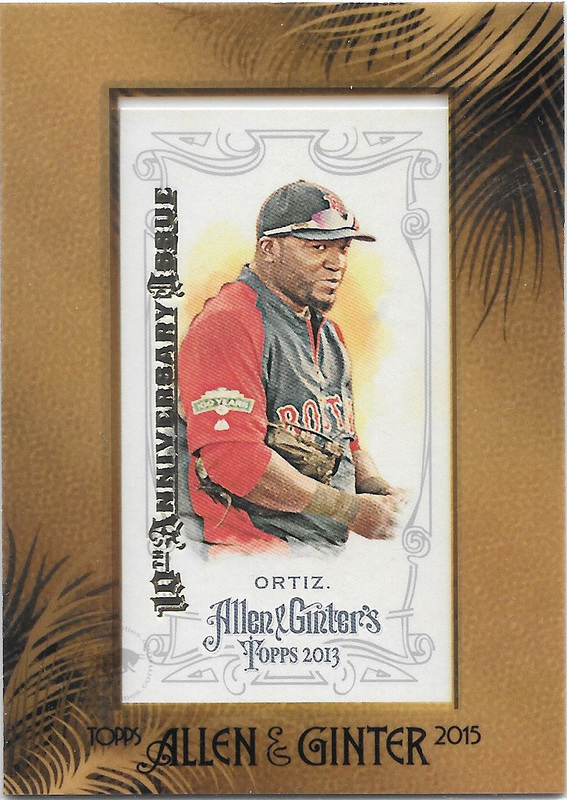 For example, 2015 Allen & Ginter had buyback cards from previous years of Allen & Ginter (2005-2014), and to signify that they were something special, each card had the words “10th Anniversary Issue” stamped in gold foil along the front edge of the card. The next step was to contact the three main card manufacturers. My efforts were first rewarded when I was able to speak to Rob Ford, the Sports Coordinator of Product Development at Upper Deck. I asked Rob how UD acquired the cards for their buyback program. He explained that some of the cards come from stock set aside for their quality assurance program, but the majority of the cards are purchased on the secondary market from places like Dave and Adam’s Card World or other Diamond Club Dealers. I received a similar response from David Porter, Director of Basketball at Panini America. In fact, David himself has purchased cards from dealers for buyback programs. Unfortunately, Topps was unwilling to answer my question. Armed with this information, I knew my conspiracy was pretty much killed. But, I was okay with this. The idea of buybacks bothered me, but only because I thought they were a way for manufacturers to dump old stock. Now that I know that, for the most part, these cards are purchased on the secondary market, I’m okay with the collectible.